Latest Technology Reviews | Mobile | Laptop | SEO Tools: How to Make a Blog Calendar: Why is it Important? How to Make a Blog Calendar: Why is it Important? Author: David provides writing services. If you’ve been on the online business or been earning money through blogging for some time now, you will know the importance of having a blog calendar. However, if you’ve only just begun you have a lot to learn. Now don’t panic, making a blog calendar is easy, especially if you’ve done some planning in the past, even if it’s just jotting down things-to-do notes on your calendar kitchen wall. A blog calendar is something like that, or perhaps, to make it sound more professional – a blog calendar is what writers or journalists would know as an editorial calendar. Imagine a conference room with a big table with coffee cups and papers on it, and writers jotting down notes, exchanging ideas and in front of them is a huge white-board filled with topics and deadlines – that’s what your blog calendar should look like. Topics - unlike a personal blog, you can’t just haphazardly write about your daily existence, especially when you’re running a business. It’s important to come up with fresh, crisp and original content regularly. Remember, Google will notice this and will keep crawling your site like ants on a left-over birthday cake. So make sure you come up with interesting ideas by brainstorming with your team, partner or even just yourself and doing the necessary research to know what the latest buzz in the net is. Don’t forget, the year 2013 is reportedly going to be known as the year of the content. Don’t be left out. A blog calendar will allow you to focus and keep your thoughts and business organized. Once again, your topics shouldn’t just be random ones you’ve just decided on a whim. Be creative and come up with monthly or even weekly themes. It would also be great if you come up with themes that will go along with holidays or important and famous sporting events. If your target audience is from different countries, make sure you include international holidays as well as events like the famous Royal Ascot horse race in England or the Tour de France. The one good thing about this is that you will never run out of ideas to feature. Even if you’re just a small business owner and it’s just you in your team, use an app. Don’t just use the calendar on your kitchen wall, be professional and use a tool. You can use free online ones like Google Calendar to keep track of all your topics and schedules. If not, you can download a content calendar template online or make your own blog calendar with excel. Also, another handy tool to use when planning content for your blog is to check your articles for duplicate content. There are lots of online duplicate content checkers out there, the one that is free and relatively accurate is PlagSpotter. 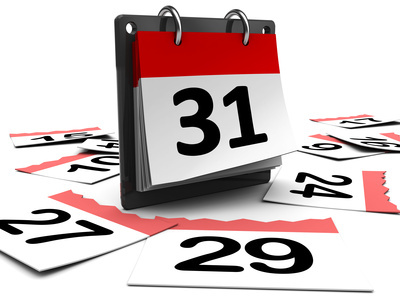 Once you have your calendar filled and up and running, the important thing is to be strict and adhere to your deadlines. Whatever happens, don’t procrastinate. You may be your own boss, but if you delay things and don’t stick to what’s in your blog calendar, you might as well forget it and fold up your online business.